This week, Northern Health launched its new Oncology and Haematology Symptom and Urgent Review Clinic (SURC). SURC is a free service for any patient with cancer, who is experiencing distressing side effects from undergoing systemic (chemotherapy or immunotherapy) treatment at Northern Health. SURCs provide an alternative to patients attending the emergency department (for those with non-critical issues) and is staffed by an experienced cancer nurse, who may provide advice over the phone or request that a patient comes into the clinic. 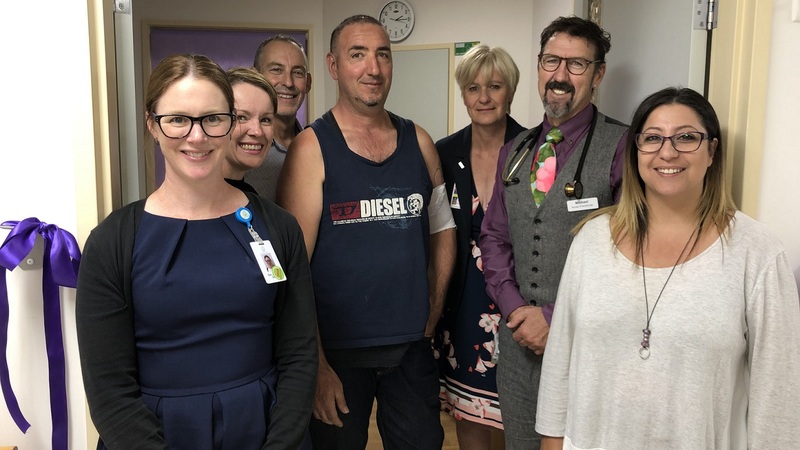 These clinics have been established at major cancer units across Victoria and have proven to be a very useful service for patients undergoing cancer treatments. Our clinic will be located within the Day Oncology Unit at the Northern Hospital, and will give patients direct access to Specialist Oncology/Haematology Nurse Practitioner, Michael Cooney. “SURC will benefit the Northern community, as it provides a context-specific place for patients to call and go to, to manage treatment or cancer related side effects,” Michael said. “It adds to continuity of care, in that they can get in touch with someone who knows their story and who understands what’s happening to them,” he said. “It’s great that Northern has supported the idea of establishing one of these clinics, and puts us in the running with major hospitals that have also established these clinics,” he added. “Thank you to our SURC project team, the steering committee and consumers who provided feedback, the cancer services leadership team and executive,” she said. Northern Health patient, Dom (pictured above), did the honours of cutting the ribbon to officially open the clinic.